When Susi cut through the old orchard, shady and secret and out-of-the-way, she was alone. Then, on a fine, warm, sunny day during the last week of school she met Herman, a lonesome pterodactyl sunning himself on a rock. So began an extraordinary summer of friendship, adventure, discovery and magic. "Drink in the night," he said. "Breathe deeply. Look at the world all laid out before you, sparkling through the dark. It is your world, warm-blooded Susi, not mine." Take flight with Susi and Herman for an adventure never to be forgotten, one that will leave you filled with joy and touched with sadness. 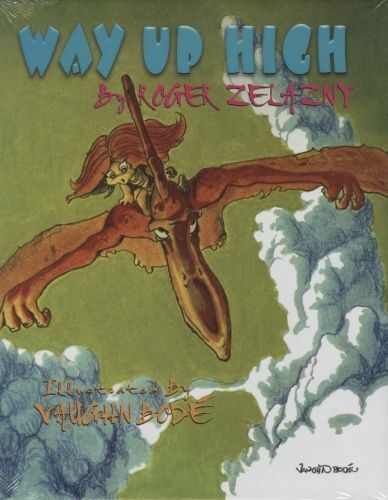 Illustrated with 6 full page color illustrations as well as a full color wrap-around cover by Vaughn Bode.